Researchers and scientists make great tenants. They're impeccably clean, they take care of their space, and they always keep their pets in crates. They also have stringent standards and specific needs and desires in what a workspace must contain. Those standards are unachievable by a typical contractor. That is where OnePointe Solutions comes in. Get ready for a major breakthrough in your monthly revenue. OnePointe Solutions installs flooring, workbenches, furniture, casework, and equipment that sets your space apart. Our Experts and craftsmen design, manufacture, and build lab furniture and laboratories that attract precisely your future tenants, adding value so you can rent for more and rent out more space. 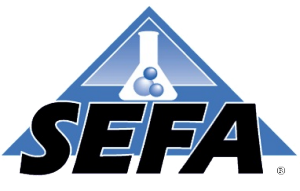 All our lab furniture, flooring, and equipment are SEFA compliant, and our products have undergone rigorous, third party testing. We've earned a reputation that has allowed us to expand nationally. We're now recognized as the leading manufacturer of custom lab furniture and workbenches in the country. Design, safety, ergonomics; durability and aesthetics inform everything we do. We also provide manufacturer pricing. On-time installation means that your team starts on time. Whether you're hosting MIT grads in Massachusetts or catering to marine biologists in California, we'll go to you and build the custom lab design you need to make a better world a reality.